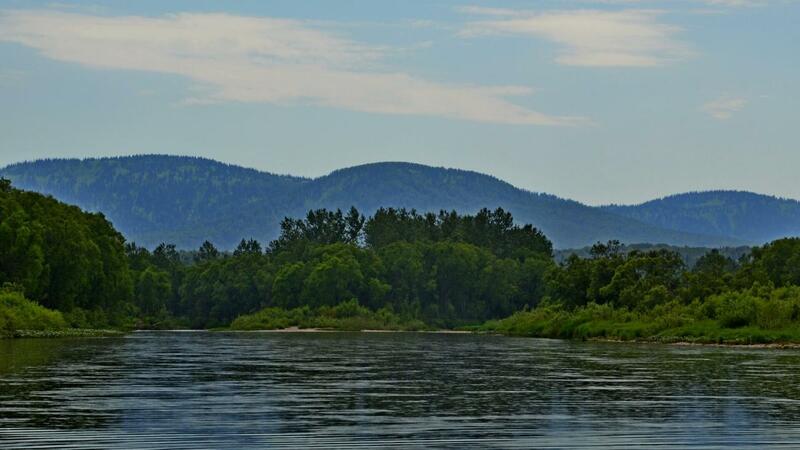 tour "Taidon Hariuzovy" is a holiday and fishing in the Siberian taiga on the river Taidon, (mountain river, right tributary of the Tom River, Krapivinsky district, Kemerovo region). The water in the river is suitable for drinking. Within the framework of the tour sport fishing on grayling (fish of the salmon family) is provided. 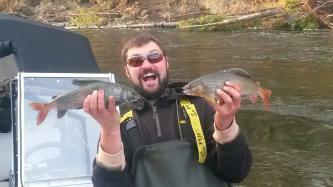 Training is provided for catching grayling. Within the framework of these tours, fishermen with a guide pass a mountain river section, from the mouth to the buffer zone of the Kuznetsk Alatau Reserve, on a high-speed water boat. Also, a VIP tour is offered to the buffer zone of the reserve, when making appropriate permits. Passage of these sites is extreme, causing a storm of emotions and an excess of adrenaline. 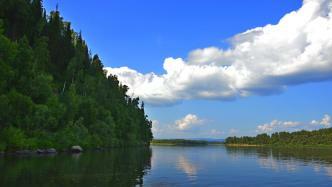 All this is accompanied by stunning views of wild taiga, clean air and crystal river water. Fishing Tour "Tom Taiga" This is a picturesque place in the valley of the Tom River, from the village. Zelenogorsky, to the village of Ust-Naryk. (The Kemerovo Region). The length of the route is 260 km. The cleanest taiga air, stunning views of the wild nature of Kuzbass, do not leave anyone indifferent, especially those who visit these regions in the first. Interest of anglers in the first place, here it is possible to catch the legendary fish - taimen, the owner of the taiga Tom. In these parts, the taimen inhabits the whole year, except for the spawning season, when this representative of freshwater salmon rises to the mountain tributaries. The size of the local taiga is not inferior to their counterparts inhabiting the rivers of the same Yakutia. The main difficulty in capturing the trophy taimen in Tomi is its high water content and large water area, which makes it difficult to find fish and assumes the presence of a serious fishing experience. Another thing trophy pike, the amount of which can surprise even the experienced angler. Instances of toothy in 5-7 kg. here the usual thing, as well as perches weighing 500-800gr., which everywhere show a fascinating performance "boiling pot." The river Tom in these parts shows its mountain character, periodically spilling over the rapid rocky rolling, on which it is possible to practice successfully in catching grayling.